My life is often a volume of grief, your help is needed to turn a new leaf. Stiff is my spine and my body is pale, but I'm always ready to tell a tale. Sadly, I am a Book. 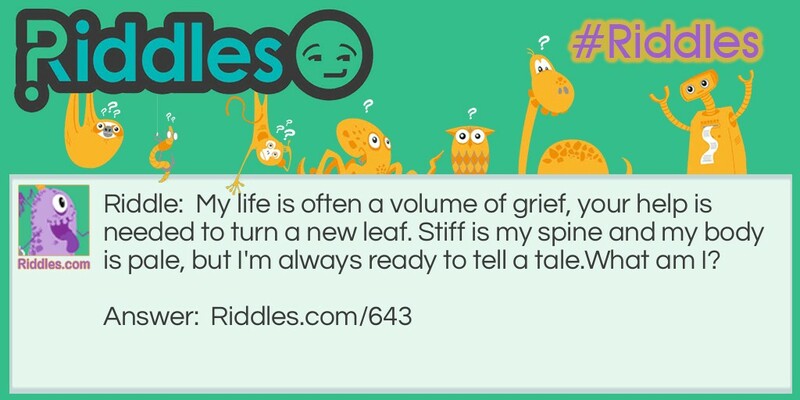 Ready to tell a tale Riddle Meme with riddle and answer page link.